ADE x Spaces. Your place to work. Calling all ADE delegates to get down to business. During Amsterdam Dance Event, Spaces is the official coworking partner for you and your business. 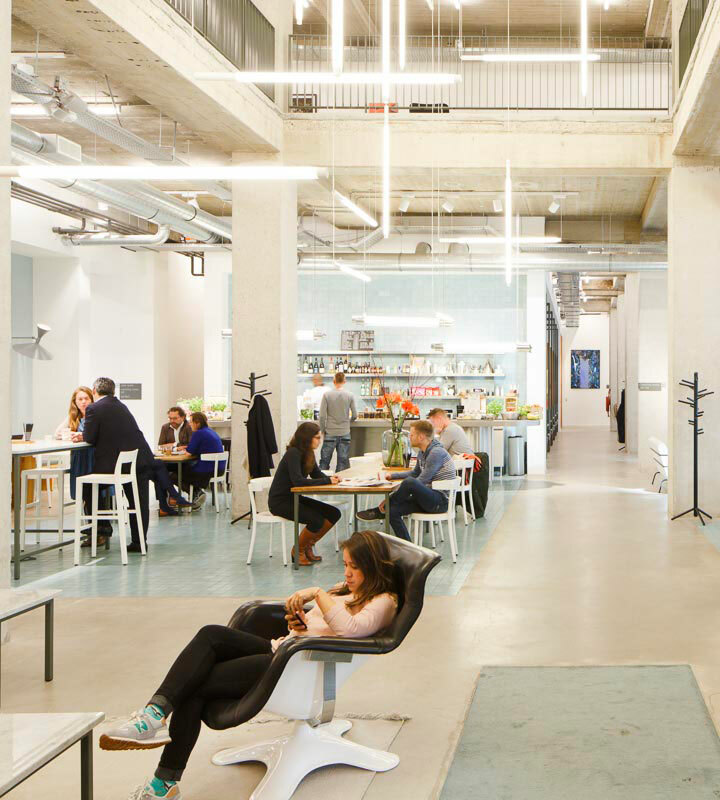 Spaces is an Amsterdam born company providing freelancers, entrepreneurs and companies an inspirational place to work. 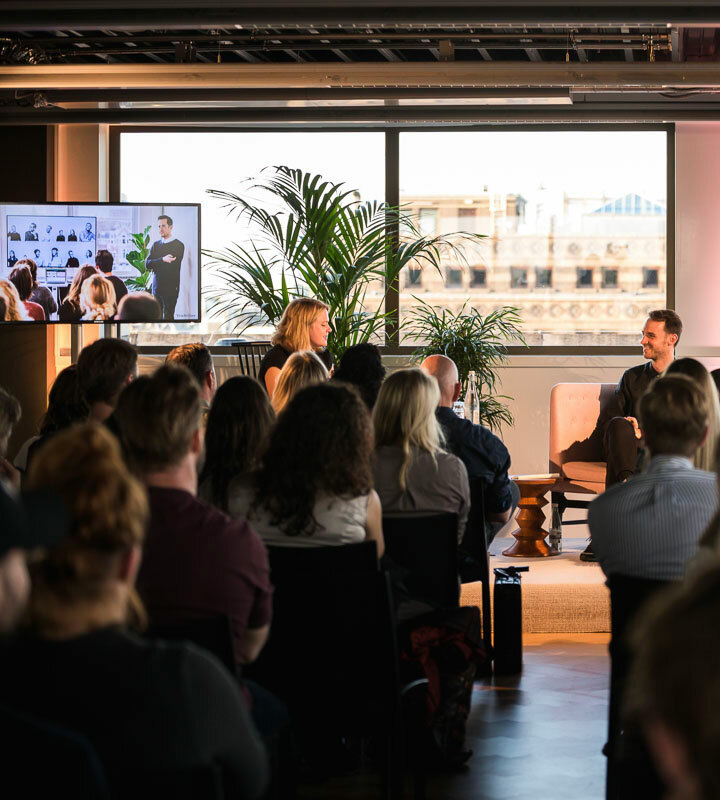 As two Amsterdam born companies with a global network of creative professionals, our partnership with ADE is as strong as the line-up at Coachella. We share a creative vibe, entrepreneurial spirit, but most of all connection with our global community. 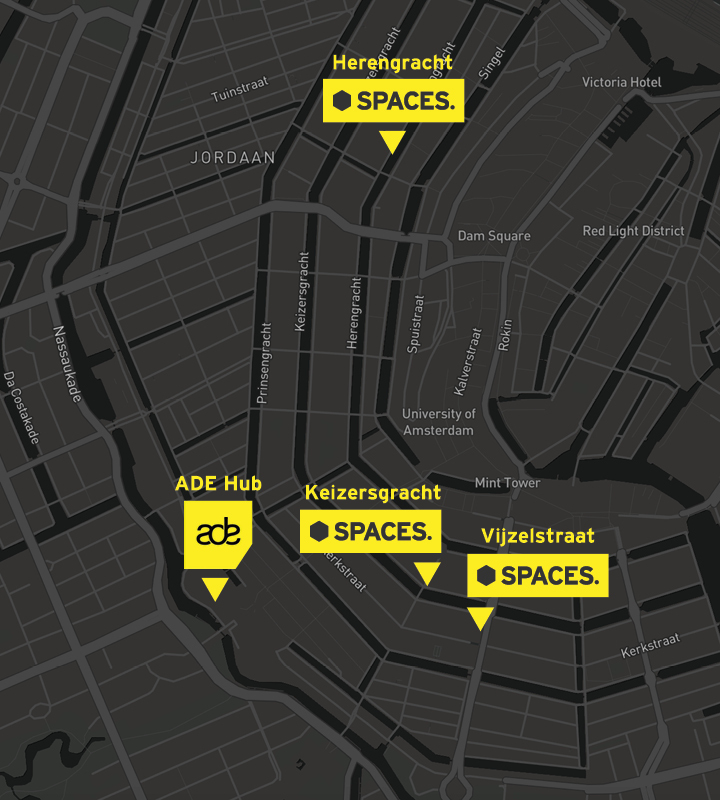 ADE delegates get free access to Spaces locations in Amsterdam on Monday-Friday during business hours. We’ve carefully selected three key locations from our Spaces portfolio that are easy to reach and close to the main conference venue. Work to the beats of your own drum. We understand that during ADE there’s so much going on and you don’t want a miss a thing. But there are moments during the day when it’s nice to focus and touch base with your colleagues. So are you looking for something bigger? Why not book an office for a day, so you and your coworkers can work together on collaborative projects or super secret world-dominating plans. You can book an office for a day during ADE, we can add in-room catering if you’d like. Half-day meeting room package during ADE for groups for a minimum of 8 people is €57 including coffee, tea, water and lunch per person. Our meeting rooms offer all the room you need, we are flexible to offer the best fit for your group. Interview studio, presentations or brainstorm space. We offer you fully equipped meeting rooms with designer furniture and daylight, rooftops with stellar city views and swanky break-out rooms to boot; Spaces has all the rooms you need for your presentations, interview studios or brainstorm get-togethers. We are the one-stop-shop for all your professional off-site gatherings during ADE. With our preferred suppliers for AV, our friendly staff and healthy, delicious catering options from our in-house caterer. Host your breakfast session, business lunch or cocktail hour during an afternoon brainstorm, we can offer you all you need. Two of our 3 key locations offer a rooftop, one a lovely patio area and all have meeting rooms with comfortable chairs and modern equipment.